The month of love has finally come to an end. I don’t know about you but aside from the fact that this month is the shortest in the whole year, it always goes by so fast, I know we were all complaining about January taking forever to end but really February you really needed to chill this month. February was such a busy month for me. I was all about positivity last month and how I was going to aid my students and then, I get told I’ve been relocated back to my home state and have less than a week to go back home and get all my paperwork, reregister in my home state as a youth corper and other whatnots in order. Moved from the North back to the South-West, it ain’t easy and also cost a lot of money. I didn’t know how to feel, I was sad, but I was also relieved that I was going back home, because oh my goodness I was falling into a bad depressed state, that I am still somewhat shaking off. Healthwise, February brutalized me. When I got back home and did blood tests, cause I was sure I was sick because my living conditions weren’t the best most hygienic and I learnt that I had wracked up illnesses to the max, I had severe typhoid, my blood levels were low and my malaria was just about to become serious. So I had to take shots for three days and get some of the medication directly into my bloodstream, hence the drips I took and after I started feeling good, my period hit me and another round of pain for three days. With that still, I had to find myself a job nearby, if I didn’t want the government to post me anywhere, especially somewhere far from home. I went for an interview, said they would get back to me, they didn’t, messaged received. Was planning to go get a new teaching job, when I got offered a sweet deal, working at the bookstore I worked at during summer, the only problem now is I don’t get holidays during the breaks schools have, but I can’t complain because at least I am getting paid this time around as an employee and I am living at home. I did not read a lot but, I read some good books. 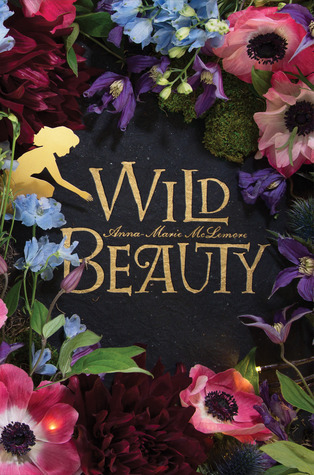 I recently gushed about Wild Beauty and how I love the story and the cover an everything, I think it was the best book I read this month for me. The beauty, Children of Blood and Bone is out in March, on the 6th. I spent a lot of money pre-ordering it and having it shipped out here to me in Nigeria, but there are no regrets from your girl over here lol. I’ve already seen some reviews that has had me side eyeing some people, but I’m not going to let that take away for my love of this book and Tomi. I hope March is better reading wise and blogging wise, my real life drained me this month my online presence hasn’t been the best aside from Twitter. Despite all this I loved February and I’ll miss it. How was your month, hope it was filled with real and genuine love, and when I say, love, I don’t mean strictly romantically, I mean in all ways and forms of love okay? My Anticipated Book Releases, March 2018. Good grief! I hope you feel better and more grounded this month Lara. That’s a lot to have done in a few weeks. Hello! So its seems that February have been harsh on all of us! I hope that you are feeling better health, job and everything wise. Reblogged this on MATHCRLN – Blog about Culture, Lifestyle & Discoveries. 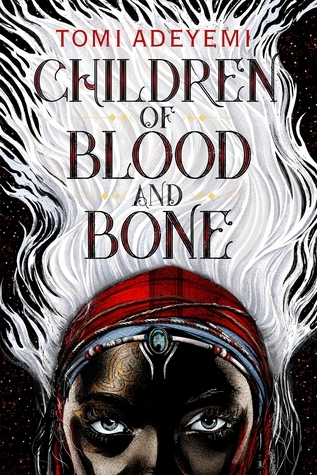 I absolutely ADORE Children of Blood and Bone. It blew me away!! Yes, such a beautiful book. I can’t wait for the movie also, I am doing much better now, all treatment finished and mentally I am getting there again, I seem to be regaining interest in things again, so I am therefore content a bit. Thanks Fadwa! 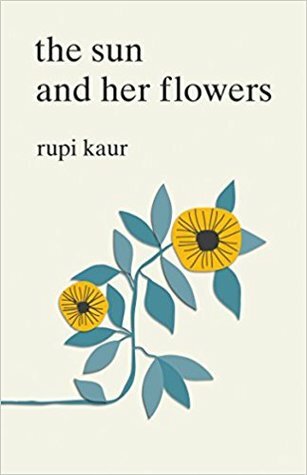 I love the Sun and Her Flowers too… Lovely book. It isn’t spooky, it’s majificent! Full of magic and has this magical feeling to it. Whenever you see it buy it , it’s worth it and Yes Sun and Her Flowers is a wonderful book. Thank you for commenting! I am feeling very fine o, lol working in a bookstore in Nigerian isn’t all that, well my own bookstore, only plus is I get a discount as a staff if I want to buy a book, just most of the books aren’t ones that catch my attention.